Is Vancouver Following the 10 Predicted Food Trends for 2017? Eating insects is trendy in 2017. At the end of 2016, the BBC Good Food Report set out to predict how the food industry would change in 2017. After consulting with food and drink experts, the BBC released their forecast of the top food trends for 2017. Now that it's halfway through the year, it's time to look back and see whether Vancouver is following their 10 predicted food trends. The panelists of the BBC Good Food Report suggest that authentic regional food will still be popular in 2017. Well, after Chipotle Mexican Grill opened in Vancouver in 2012, the cravings for tacos did not stop. Judging by the popularity of Chipotle tacos and other taco places in Vancouver, Vancouver is definitely following the taco trend. Believe it or not, a study conducted in the United Kingdom showed that our generation is actually drinking less compared to the generation before us. This is more of a personal preference though, and Vancouver does indeed offer a variety of non-alcoholic drinks. Thus, I think we can conclude that Vancouver is keeping pretty well with this predicted food trend. We all know that Vancouverites love to eat seafood. With over 600 sushi restaurants in Metro Vancouver in 2014 and counting, our love of sushi and nori just seem endless. By extension, it seems that the love for sea vegetables is great in Vancouver in 2017. This was a hard trend to investigate. As pickles and ferments are not considered a main dish, it was hard to find out whether Vancouver was actually interested in pickles and ferments. So, until further research can be done, the pickles and ferments trend will remain ambiguous for Vancouver. With increasing awareness about environmental issues, people are finding ways to reduce food waste. 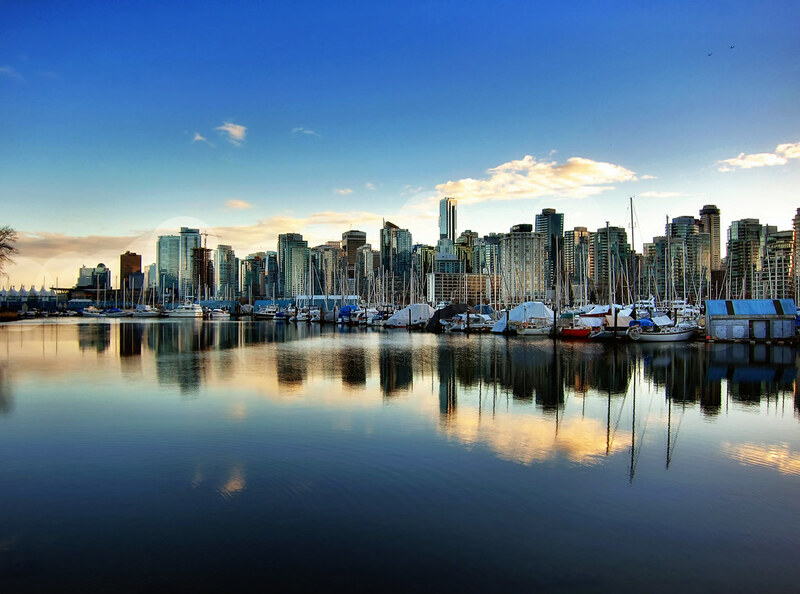 Not surprisingly, Vancouver decided to join the movement to produce less waste. With the opening of a zero-waste grocery store in the fall of 2016, Vancouver now has access to products that are packaging-free. Nice work, Vancouver, for following this eco-friendly food trend. I never could have guessed that the "insta" meant Instagram-ready food until a recent food report informed me of it. However, it is difficult to consider this as a 2017-only food trend in Vancouver, since it has become a habit for people to follow the universal rule of phone eats first. As long as Vancouver continues to produce delicious and good-looking food, this will always be a trend. Technology has finally invaded the kitchen, in a good way. While experts in the article expected this to be a food trend in 2017, Troico Vancouver has actually been offering services such as maintaining the temperature of the stove with your phone since 2014. According to their introduction page, you can cook using your wifi in Vancouver. Now how cool is that? Eating insects has become pretty common in a few countries in the world. Frankly, I never imagined this industry would land in Vancouver; however, in 2016, Coast Protein began selling protein powders made with insects. Nevertheless, until a major restaurant serves insects as their main dish, I am going to say that Vancouver is not following this food trend. The Central News Network calls Portuguese cuisine a "best-kept culinary secret." Unfortunately, like pickles and ferments, Portuguese cuisine is relatively new and unknown to Vancouver. Until a major restaurant brings it into the public eye, Vancouver will never know the beautiful taste of Portuguese cuisine. Seeing as Canada is the homeland of poutine, which has around 740 calories per serving, snacks around Vancouver are usually not that body-friendly. Nevertheless, with the opening of Naked Snacks, hopefully Vancouver will provide us with more healthy snack options. So this is my 2nd quarter report investigating whether Vancouver is following the predicted food trends for 2017. While Vancouver seems to be on track with many of the predictions, we will have to wait until the end of 2017 to truly find out whether Vancouver has kept pace with the predicted food trends from the BBC.